It means you are believing a huge lie. When you remove the lie, you’re set free! Click on the video and discover the lie that’s holding you back. What did God show you? Just leave your comments in the box below. Would you like to know more about the power of forgiveness? In this DVD, The power of Forgiveness, you will learn how to use this spiritual weapon to set yourself free. 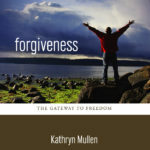 At the conclusion, join Kathy in powerful forgiveness prayers that will change our life. The problem Im experiencing is I think im accepting Jesus’s Forgiveness for my sins but my life circumstances seem to be getting worse , no matter what I try to change in my daily life , and I feel like im being punished . Would you please guide me? Dan, the feeling of being punished is based on a lie that we all believe at times. It’s incompatible with God’s nature and love for you. I’d be happy to meet with you at a counselling appointment to uproot the lie and replace it with God’s truth. Let me know.